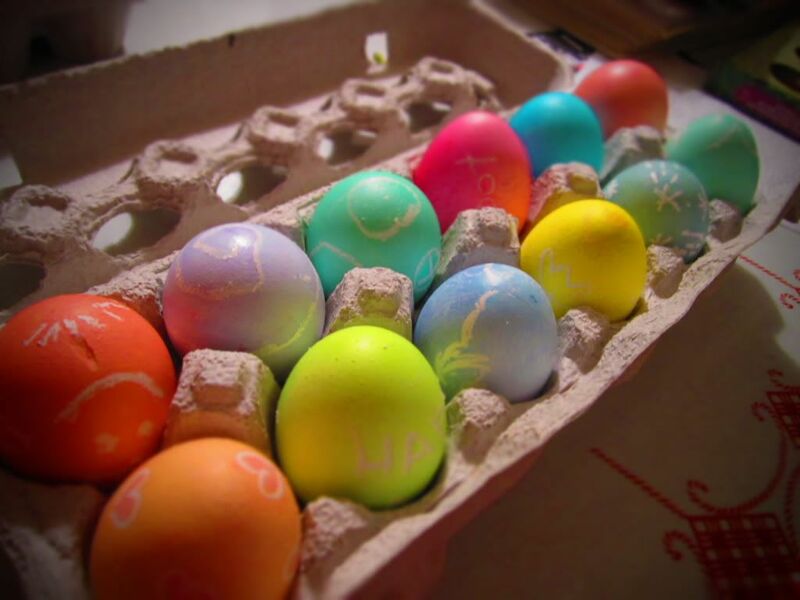 My mom and I dyed easter eggs while I was home! 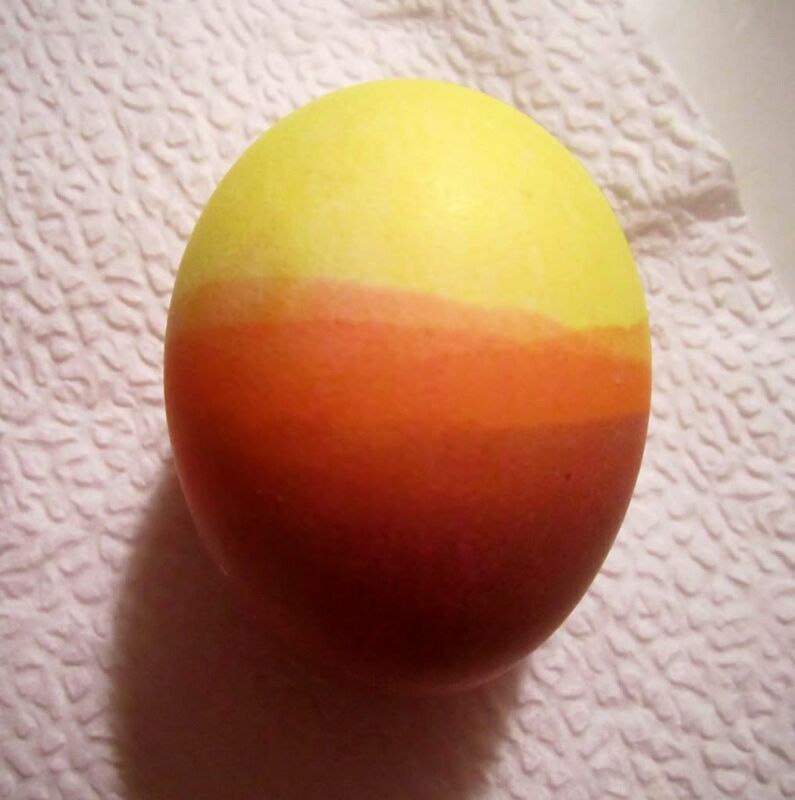 this one was one of my favorites that I dyed-- I wanted it to look like sunset over mountains. have I mentioned lately how very helpful Bucky is? 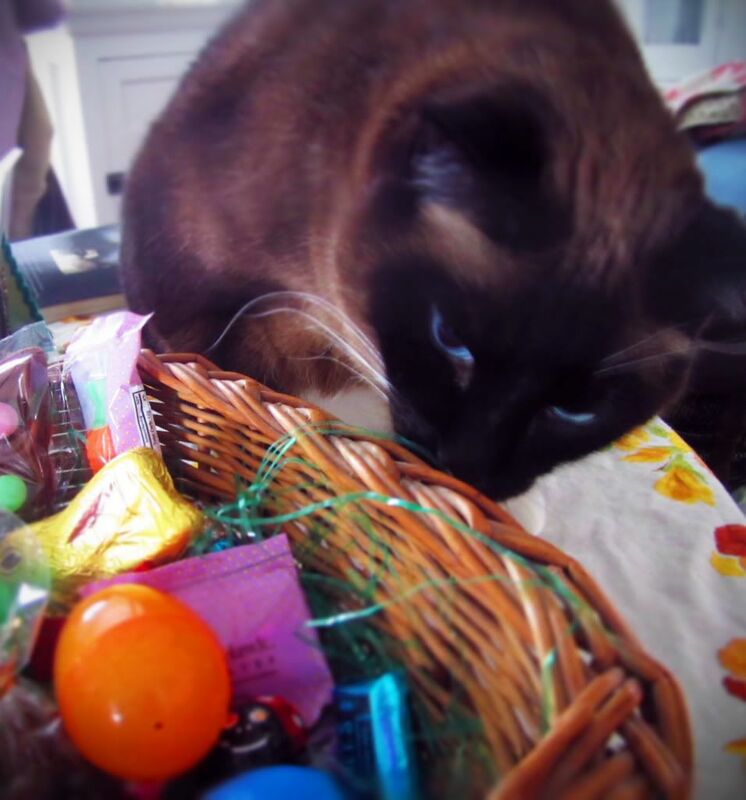 I didn't have a chance to take a single thing out of my (wonderful) easter basket before he jumped up to check it out. 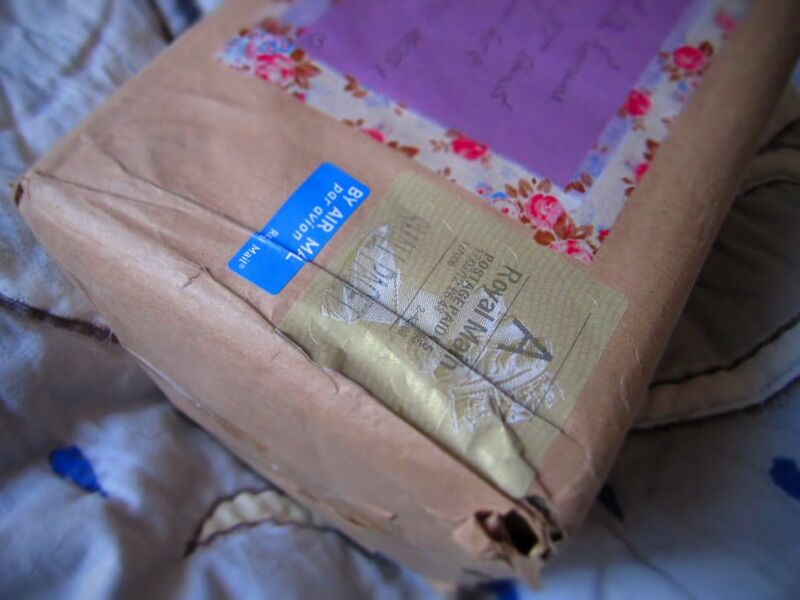 I'll be posting my wonderful swap package from Lexie over the next few days! yay! Even the box was beautiful. I've always wanted to get a package wrapped in brown paper.